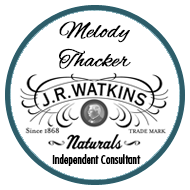 Watkins popular 6 oz extracts have been so popular this year we are completely sold out! The good news is you can take advantage of specially priced almond extract and lemon extract in the 2 oz size. Watkins delightful almond flavor enhances a wide variety of cookies and desserts. Excellent in cherry pie! In the United States Regularly $4.99 USD Buy 3 Almond Extract and receive them for just $3.99 each! In Canada Regularly $6.99 CAD Buy 3 Almond Extract and receive them for just $5.49 each! Watkins pure lemon extract adds a lift to just about everything! Use a few drops in cookie dough, muffins, cake batter and iced tea for a refreshing hint of citrus. 21395 Lemon Extract 2 fl. oz. US only – Regularly $4.99 USD Buy 3 Lemon Extract and receive them for just $3.99 each! These special prices will be available until December 31, 2010. Important note: the regular price will be shown in the online shopping cart, when you order multiples of 3 you will offered the special price during the check out process. More great news, your favorite Watkins extracts will be available in a more economical and convenient 8 oz bottle in the spring of 2011.